You will love Calaguas Island to bits. Why? Well, this is what this article is all about. Hop onto a journey towards beautiful Calaguas now-- which is situated in Camarines Norte, a province located in Bicol, Luzon, Philippines. #1 - Beautiful white sand: Particularly gaining popularity is Tinaga Island, which is home to Mahabang Buhangin Beach, famous, inspite of having no accommodation. The main reason why tourists flock there is the island's fine white sand. #2 - Camping allowed at the beach: Undeveloped as Calaguas Island still is, campers and backpackers alike, thus find it an exciting destination with their buddies. Everyone is therefore cautioned to contribute to the preservation of its serenity and cleanliness to ease the worry of the locals in the area. #3 - Perfect for stargazing: Just ready all your tents, food, drinks, garbage bags and other equipment to have a superb night of bonding, stargazing or unlimited chatting with your loved ones if you opt to stay in Calaguas overnight. 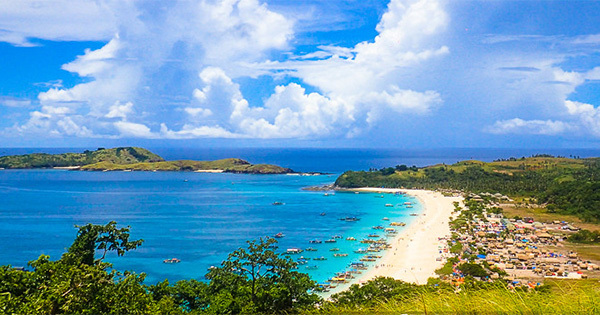 #4 - Budget-friendly getaway: The ocean water in Calaguas is sparkling clean and calm, hence, it is gaining popularity with all fun-seekers aiming to discover all the gems of the Philippines. Have fun there, too, without breaking the budget since you can be as resourceful as you can, on getting there and bringing all your needs; or you may sign up with a travel agency to get some assistance for your stay. #5 - Bring home awesome pictures: Calaguas Island is without a doubt, one of the most sublime creations of God in our country, whose scenery deserves to be stored, not only in the pages of our memory, but in our cameras as well. Many visitors call it a "Paradise" --so no need to think twice, have a look and bring home endless smiles.